1. 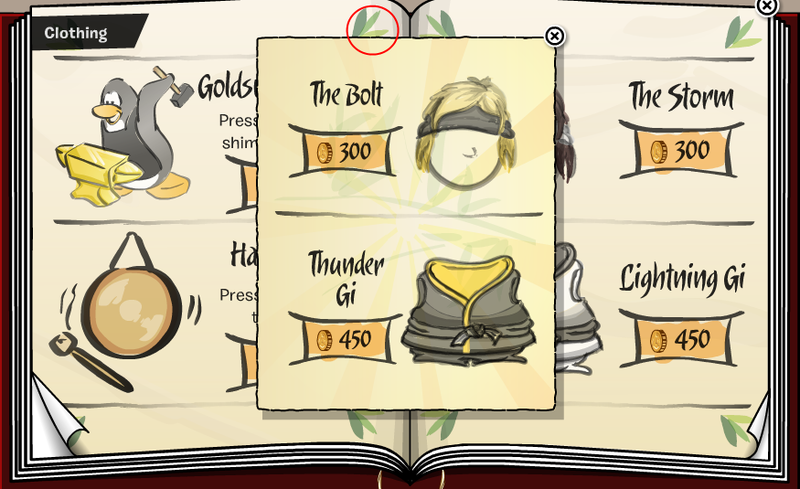 Head to page 3 and click on the green leaf to find the Bolt and the Thunder Gi. 2. 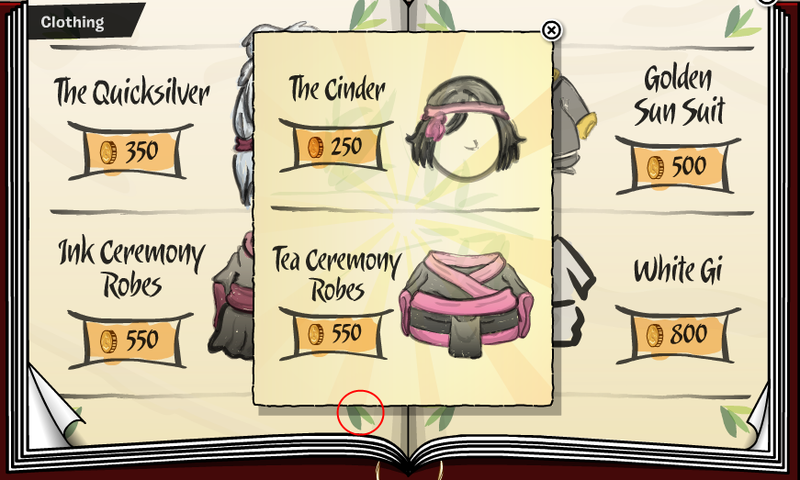 Head to page 4 and click on the green leaf on the bottom of your screen to find the Cinder & the Ceremony Robe. 3. 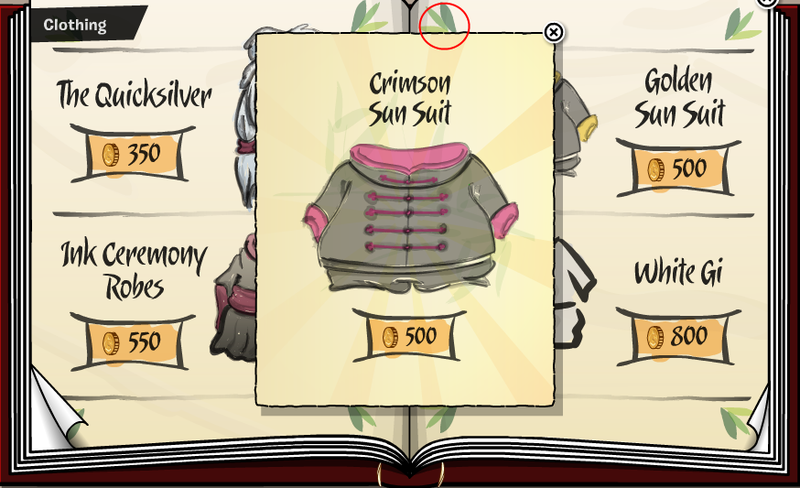 Head to page 4 and click on the green leaf on the top of your screen to find a Crimson Sun Suit. I really like this catalog because of the clothing it has in it. Do you like the items? Leave your comments below!